Fortunately the broken lens doesn’t seem to be broken or to have affected the fisheye pictures. Phew! Films two and three have gone better than the first one, although I only ended up with 37 out of a possible 72 prints, mainly because I ruined the film by opening the back of the camera – as I mentioned in my last post – but also because I took (or tried to take) several pictures with the lens cap on. Oops. 1. The wide angle lens is WIDE. I know this sounds obvious, it being a wide angle lens and everything, but it seems to be much wider than I give it credit for when taking pictures. It’s hard to judge until you see the photos afterwards, especially when you’re used to having a digital display on a DSLR, so I think this one’s going to take a while to conquer. You can see this in the pics below where some of the framing is off (like the photo I thought I’d taken of feet, which also includes heads! ), or where the subjects are too far away. 2. Even fast films (like the ISO 800s I’ve been using) produce poor quality pictures when the light is fairly low. The ones I’ve taken on bright days have been the most successful, so sunny days = good fisheye days. Low lighting? Probably best not to bother, unless you have plenty of film and are willing to take a chance. I can’t say I’ve used the flash much apart from in the first film, indoors on a dimly lit day. I think I was a bit close to the subject though as I just ended up with glare. Another learning. 3. If you want 800 film, it’s not that easy to get hold of. I’ve tried a couple of places in Manchester like camera shops, Boots etc. and they don’t stock ISO 800, only 400. When I bought my camera from the Lomography shop in Manchester (which I think has since closed), I paid about £9/10 for a pack of three colour 35mm ISO 800 films. 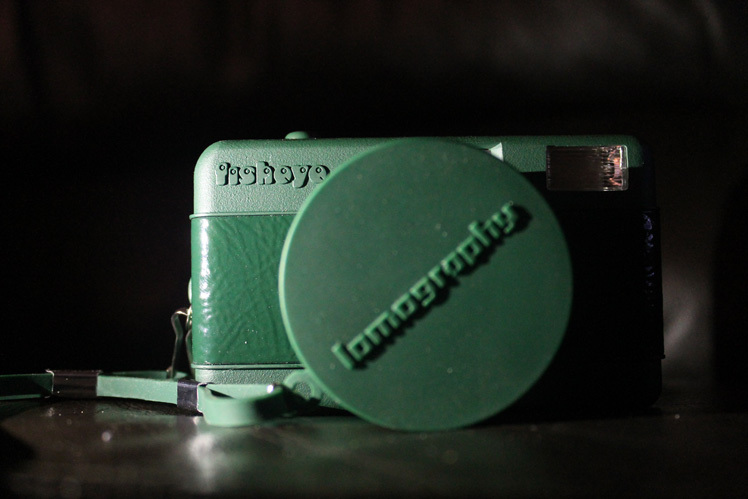 The Lomography website is out of stock at the moment, and to get films for the £9/10 mark, I’ve just ordered some from the US (maybe I got them really cheap initially?). They’re expired films so we’ll have to see how they turn out in another blog post. 5. It’s easy to take photos (or not) with the lens cap on. I’m used to a camera which doesn’t let me take photos with the lens cap on, so I suspect this will take some getting used to. I’ve annoyed myself several times by doing this so I hope I can train myself to remember to take it off every time (or at least most times) soon! I’m sure there will be more learnings to come, so there will probably be a part two to this post at some point. In the meantime, here are a few more pics from Wales taken over Easter. I must admit I hadn’t realised it had been two months since I’d last posted. Note to self: must try harder! I only got half way through the second film when I had a walk to Manchester Cathedral and just as I was about to take a photo, I realised the film must have come loose as it wouldn’t wind on. After a bit of fiddling, I resigned myself to having to open the back of the camera and sort the film out, obviously ruining anything I exposed, but I thought I’d take the chance as I didn’t have another film with me (and also it’s such a struggle to walk the whole 10 minutes or so from the office at dinner time to come and take a photo, that clearly I had to do something there and then). I couldn’t manage to get the film back onto the spool though, so I wound it back, thinking I’d just start again and do some ‘crazy’ double exposures on the first half of the film – ha ha, aren’t I clever I thought, until I realised I’d wound the film back completely and couldn’t get the end back out*. So I now have half a film which hasn’t been developed, most of a film which I need to finish and which (obviously) hasn’t been developed, a broken lens on my camera and…a handful of photos. The pics below were from my first film and taken in the Tame Valley (near where I live), around Manchester and in Buxton. ‘Where are the rest of the 36 pictures?’ you might ask. Well, even though I had a fast film (800), I took quite a few indoors in the Pavillion Gardens in Buxton and they didn’t really turn out because the light was poor (even with a flash). In my defence, the weather was awful and freezing cold and I wanted to use the film, but I couldn’t face being outside for too long. (Yeah maybe I’m nesh, but it was freezing!) The indoor pics didn’t really work, and some of them were just a bit rubbish. Despite the fact that quite a few didn’t turn out, it was worthwhile as an experiment, if only to think about framing and how much I can get into a shot. I really do need to get on with finishing off this last film, although how it’ll turn out with a damaged lens I don’t know. Maybe it’ll add a touch of artful unpredictability. I can only hope so. *If this happens to you, try making your own film-retracting gismo via this guide at Lomography.com. I haven’t tried it but I’m sure it will come in handy next time I do this! I’ve been reading a bit about Lomography recently and although I haven’t used film for years (I had various cameras for holiday snaps in my younger days), yesterday I bought myself a Fisheye One film camera from the Lomography shop in Manchester. It was a bit of an impulse buy as I only went to have a look around, but they had 50% off any cameras without a box, so the camera itself was only £22. Felt like it would have been rude not to buy one at that price! I’ve been out and about today to have a play around with it, and despite buying three films with 36 exposures each, I’ve only taken about 12 pics. To be fair, I had my DSLR with me as well, so I was more focused on playing around with the ND filter I also bought yesterday, to try out some long exposures. But having film did make me much more careful about what pictures I was taking. With hindsight this was a bit of a mistake, as the whole point of playing around is to see what works and what doesn’t, so next time I need to make sure I use up the film otherwise I don’t think I’ll find out what does work! Maybe I’ll do that tomorrow.